When I was about 12 years old, about 30 years ago, I used to read and re-read a science fiction short stories book. I think it was an American publication but I may be wrong about that. The cover had multiple images on it. I believe there were some planets and stars and the picture of a woman (small) and maybe a spaceship of some kind (small). It was soft cover and it was quite thin, could not have been more than 100-150 pages, I think. Similar to an Enid Blyton sized-book and thinner. The colored drawing/pictures on the cover were muted and had a rustic-ness to it. I don't remember much about the other stories in the book, except that one of the other stories was about a planet where a bunch of people were caught outside trying to escape these giant creatures with giant pinchers/claws, like lobsters have. And the final line in that story was how they could here the click-clack of the claws coming closer and they knew they were doomed. One of the stories might be 'A Walk in the Dark' by Arthur C. Clarke. You could look for anthologies containing it. I have managed to track down the book. 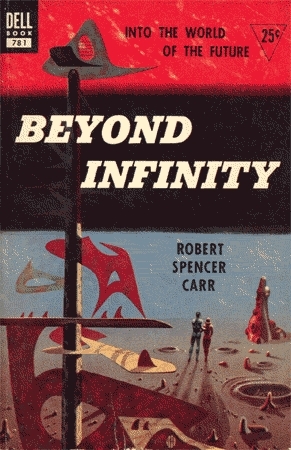 It is "Beyond Infinity" by Robert Spencer Carr. Turns out that the story by Arthur C Clarke was not even in it... My memories are all muddled the older I get...!